I am happy to say we are back again with another beauty review, today we talk about a mascara that has been getting a lot of attention lately. 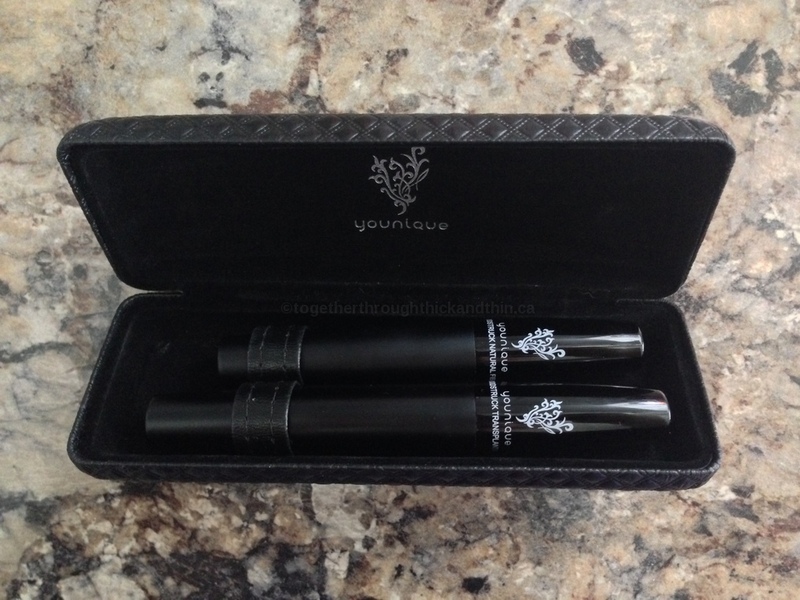 The Moodstruck 3D Fiber Lash Mascara is our feature today. It is Younique's best selling product, as it claims to dramatically enhance and magnify the appearance of your own lashes. For optimal results work on one set of lashes at a time, first apply one even thin coat of your favourite mascara and let it dry. Apply one coat of the Moodstruck Transplanting Gel. Immediately after applying the Transplanting Gel add the Moodstruck Natural Fibers. Then add a final coat of the Transplanting Gel to secure the fibers to your lashes. Repeat step 3 & 4 until you've reached the desired look. Move on to the other eye! 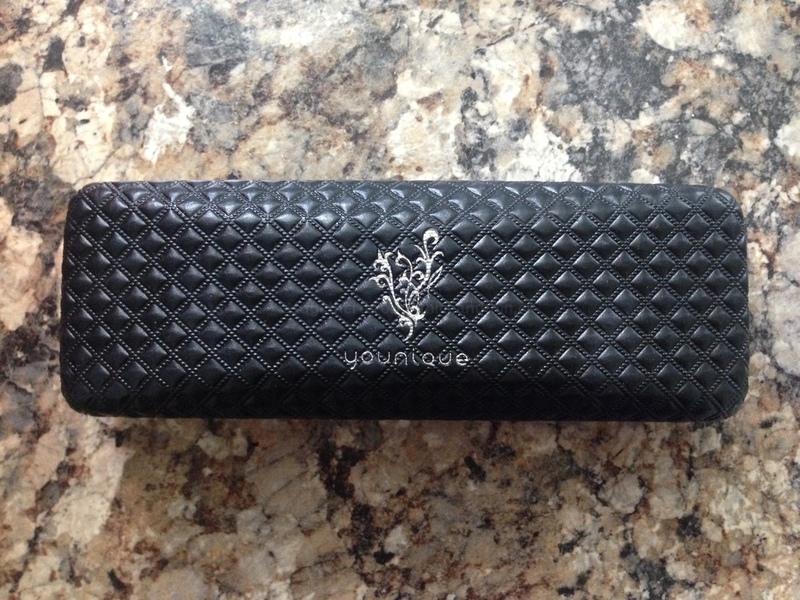 This mascara is completely gluten free, and derived from 100% natural based ingredients. No animal testing is done on these products, which is always something people should be conscious of. Shipping costs are all based off purchases $100 or less, and all prices include taxes. They also offer a love it guarantee which entitles you to a full refund in 14 days, or after 30 days 80% will be refunded, and after 90 days for exchange or credit (less shipping and handling). Keep reading as Steph and I talk about our personal experiences with this product. Steph: I've seen this product getting a TON of attention on both Facebook and Instagram so I was excited when given the chance to try it! As someone who has naturally long eyelashes I wondered how this would work on me. I followed the steps provided and was pleasantly surprised! My eyelashes appeared EXTREMELY long. 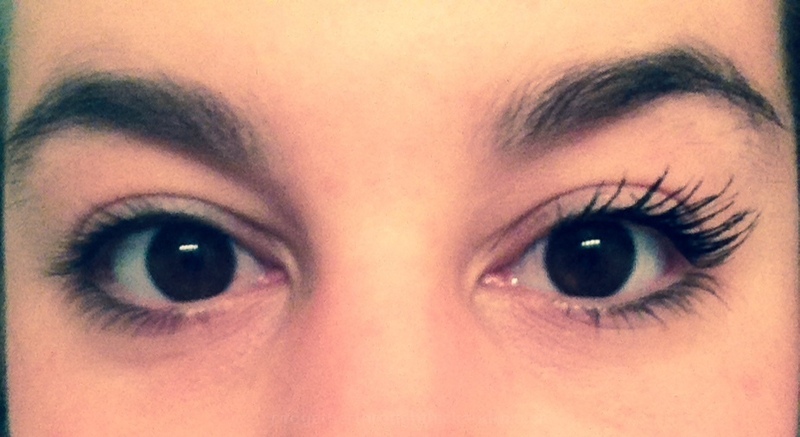 I would say it did make a difference compared to my normal mascara that I use daily as it did give that dramatic look. I probably wouldn't wear this everyday but would wear in place of false eyelashes. Jenn: I have been given the privilege to review this product for all of you by a very lovely Younique Consultant, she's been very informative and helpful and I am so grateful she chose us. I am so impressed by the presentation of the product, the case it comes in is beautiful and shines of good quality. It could totally be used for your glasses or storage in general to hold fragile things, maybe perfume rollers when traveling? That's the first thing that comes to mind for me! Definitely a multipurpose case. Inside the case comes two generous sized products, one is the gel and one is the fibers. I did struggle trying to get used to this new type of mascara, I was using way more than required for my lashes. Trust me, a little goes a long way! I got the best results by only applying the fibers to the very tips and using small amounts. I also get the best results not using a mascara at all, instead doing 2-3 coats of the transplanting gel before adding any fibers. 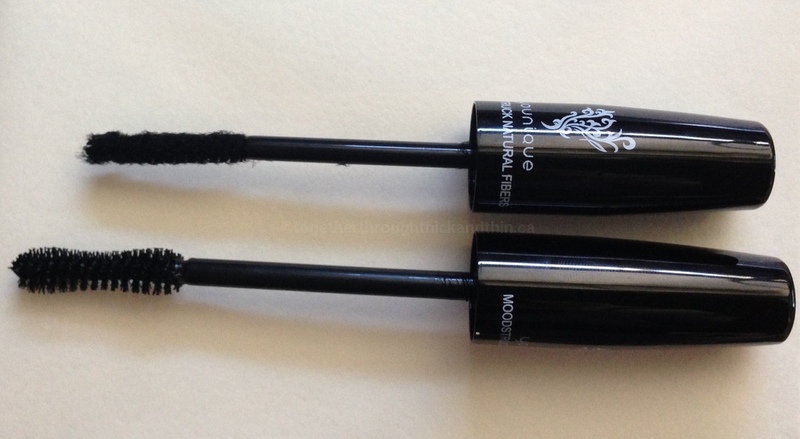 Removal of this product is easy with soap and water, it doesn't come off like traditional mascaras where it smears. Instead it comes of in soft stretchy clumps. I love that it leaves absolutely no residue! I do see myself repurchasing this product once I run out, I love having the option in my makeup bag.